Top 5 Reasons to BUY or NOT buy the Acer Predator Triton 700! LaptopMedia.comHighlightsTop 5 Reasons to BUY or NOT buy the Acer Predator Triton 700! 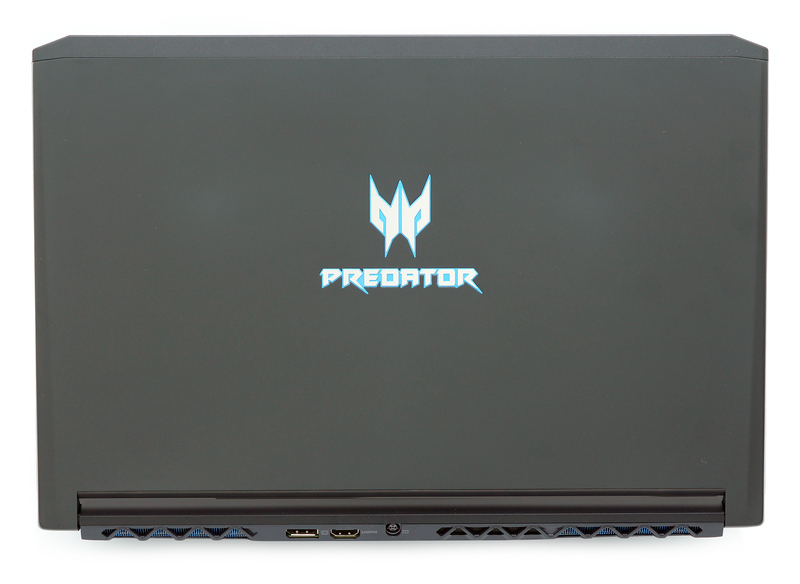 If you are not familiar with our in-depth review of the Acer Predator Triton 700, this is a gaming 15-inch laptop whose portability doesn’t come at the expense of performance. Such a portable and powerful machine definitely catches the eye so we’ve decided to present you with its top 5 advantages and disadvantages. In terms of design, we were quite impressed by the all-aluminum construction that is not only sturdy but also fairly portable. The lid is made of an anodized aluminum sheet and features two small hinges on each side thanks to which you can open the laptop with one hand. In addition, the bottom also uses anodized aluminum and sports three big grills for intake of cool air. As for portability, the notebook stands out with its lightness tipping the scale at 2.38 kg and ultra-thin profile of just 18.9 mm. The cooling design proves to be quite efficient as it features five massive copper heatpipes – two of them are shared by the CPU and GPU heatsinks while the other three are for the separate heatsinks. 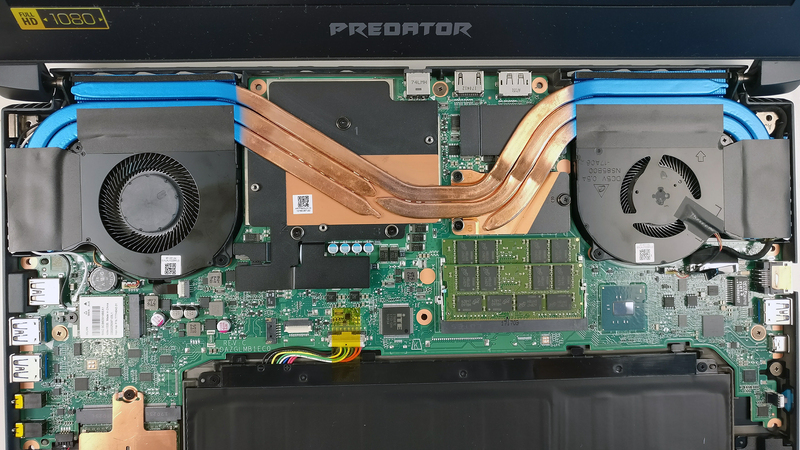 Furthermore, there is a 3D blade fan design for maximum airflow ensuring that the Acer Predator Triton 700 handles the Core i7-7700HQ and GTX 1080 Max-Q effortlessly. Another merit worth mentioning is the crisp 120 Hz G-Sync-enabled IPS panel that the laptop sports. Its Full HD (1920×1080) resolution, good maximum brightness (332 nits) and fairly high contrast ratio (1340:1) contribute to the great visual experience. What’s more, Acer Predator Triton 700 doesn’t use PWM for regulating screen brightness so it should be safe to use for long periods of time. Of course, you can also opt for our custom profiles that take things to a whole new level in terms of image quality. You are also presented with a wide range of ports distributed quite well. The left side offers two USB 3.0 connectors, two 3.5 mm audio jacks for an external microphone and headphones, as well as a USB 2.0 connector. On the right, you will notice the RJ-45 for LAN connectivity, another USB 3.0 and a USB-C 3.1 with Thunderbolt support. Here, you can also find the DC charging port, full-sized HDMI 2.0 and a full-sized DisplayPort. The only serious drawback which may be a deal-breaker for some of you is the poor battery life most probably caused by the absence of the NVIDIA Optimus feature. For example, the 53.9Wh unit scored 84 minutes (1 hour and 24 minutes) in our web browsing test and barely 27 minutes in our gaming one so it’s not advisable to be away from a power source for too long. 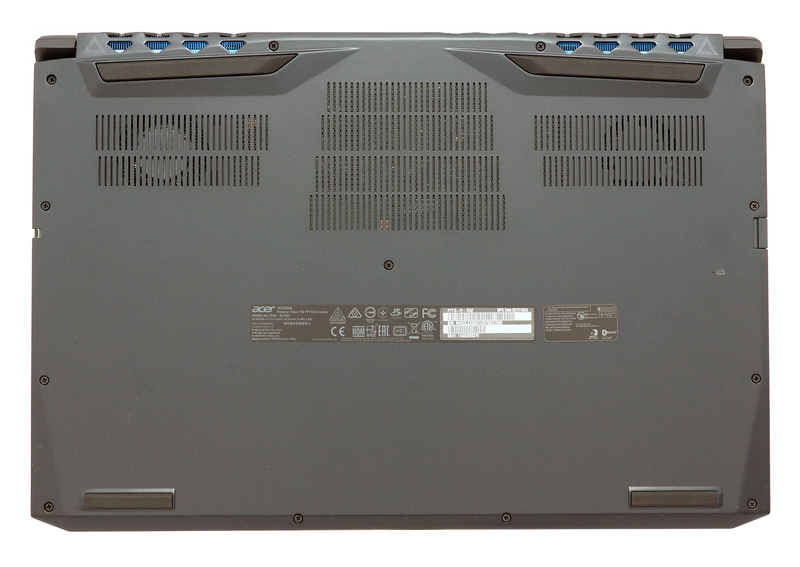 There are quite a few good gaming alternatives to the Acer Predator Triton 700 on the market such as Alienware 15 R3 and HP ZBook 15 G4.